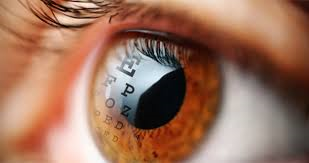 We are a full-service eye clinic that has been caring for the Corinth area for over 35 years. We have offices located in downtown Corinth, Mississippi and Adamsville, Tennessee. We offer a large selection of designer frames, sunglasses, and contact lenses. We also utilize state-of-the-art technology and preventative testing for everything from dry eyes to post-operative care. Call (662)286-5671 or come by to set up an appointment. We are open Monday through Friday from 8:30am until 5:00pm and Saturday by appointment only.